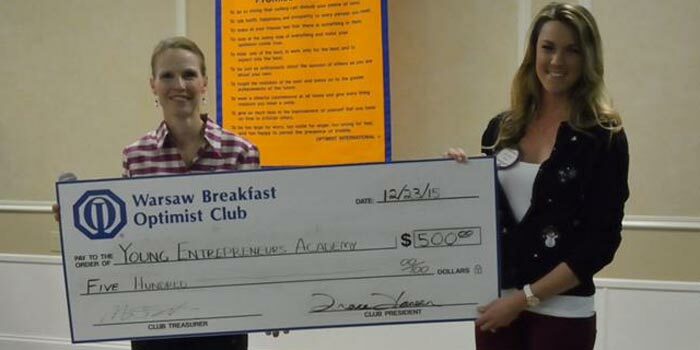 WARSAW — The Warsaw Breakfast Optimist Club recently donated $500 to the Young Entrepreneurs Academy. Through various fundraising activities during the year, the Warsaw Breakfast Optimist Club raises nearly $30,000 to donate to youth oriented activities. 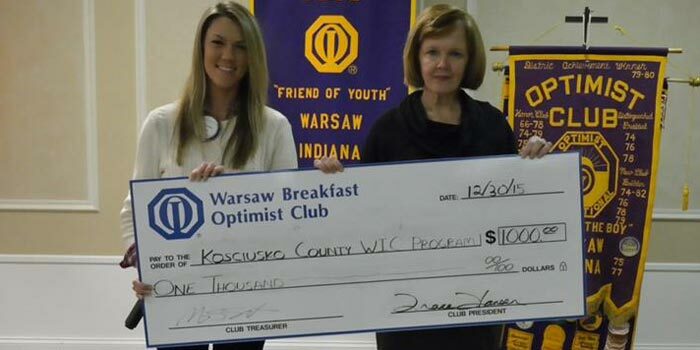 The club also recently donated $1,000 to the Kosciusko County WIC program. Guests are invited to join the club at 7 a.m. any Wednesday morning for the breakfast meeting in the Shrine Building at the Kosciusko County Fairgrounds.